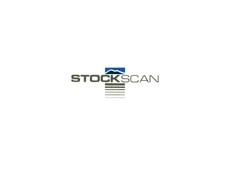 Stockscan ultrasonic scanning technology is a livestock management software for the prime lamb industry. Kennedy Creek Poll Dorset Stud supply Flock rams, stud rams. Stud ewes and ewe lambs. 10/03/11 - The accelerator Jivet breeding programs are performed on lambs between 4 and 10 weeks of age and involve multi-ovulation, harvest, fertilise and implant programs. 11/09/08 - Wye Corriedales, a commercial breeder, specialise in wool production for commercial purpose. 05/09/08 - The Victorian South Suffolk Society outlines a brief history of South Suffolk sheep in Victoria. 04/08/08 - Kismet White Suffolk Stud has been selectively purchasing top genetics with an emphasis on muscling and early maturing progeny to achieve high breeding results for clients. 01/08/08 - Kismet White Suffolk Stud will hold a 2008 Spring Ram Sale on 3rd October 2008. About 120 White Suffolk rams and 30 Poll Dorset rams will be offered for sale. 31/07/08 - The Derrynock 56/2003 ram from Kennedy Creek Poll Dorset stud shows a consistent performance with a good blend of high growth, average fat cover and moderate muscle. 31/07/08 - Kismet White Suffolk Stud offers a good selection of ewes and flock rams for sale. 30/07/08 - Every year, Kennedy Creek Poll Dorset Stud conducts ram sales from mid October to March, depending on the season and ram availability. 29/07/08 - Tullamore Park Texel Stud offers sales and distribution services for a range of commercial flocks, stud ewes and flock rams. 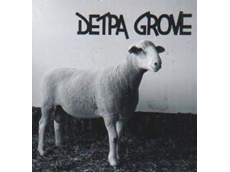 29/07/08 - Kennedy Creek Poll Dorset Stud specialises in breeding commercial livestock such as ewes and rams. 21/07/08 - Shellal, a stud sheep enterprise organises annual on-property sales of Poll Dorset studs and other breeds during the month of October. Poll Dorset stud from Shellal is a family-owned and operated seedstock business. 17/07/08 - Kelso Border Leicester Stud Farm offers commercial stud rams, ewes and sheep which are suitable and profitable for commercial breeders. Kelso Border Leicester Stud Farm imported quality rams from the R. J. Anderson flock in New Zealand.